• careers that this subject could be useful to. Some subjects may be restricted depending on subjects chosen for Junior Certificate. How Important Is The Choice? Sometimes there is a sense that there may be long-term problems, or reduced choices in the future if they get the choice wrong, but the truth of it is that this is only the case in relation to Science, and then only in relation to a small number of courses currently on offer at 3rd level. There are no requirements with regard to any of the other subjects that would prevent your son from following a course of interest in the future. What is important is to select subjects that they find interesting and enjoyable; subjects that they generally listen well to and take part in class, subjects that come easily to them and in which they usually get good results in tests. If all these are in place then your sons will have layers of study done before ever they come to revise a subject – and this is a great basis for success. 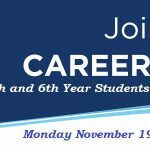 What career area interests you? – Are some subjects required to pursue that area of study? What subjects might be helpful for your course or area of work? Do your choices keep your options open for the future? If your choices close off future options – have you discussed this with parents, teachers? WHAT SHOULD YOU DO IF YOU ARE UNCLEAR ABOUT WHAT SUBJECTS TO CHOOSE? To keep future options open to yourself – and if this is suitable for you– it may be a good idea to choose a balanced selection of subjects from those available, for example, one Science subject, one Business subject and one other subject. Beyond the core subjects – English, Irish & Maths – the number of courses and jobs that require specific subjects is relatively small and usually refer to a science or a language subject. Students are advised to always check the exact requirements for courses that interest them as they can vary from college to college, and may change from year to year. Ø How to record, present and interpret financial information of voluntary organisations. Ø The importance of financial information for good decision-making. There’s an increase in the level of understanding needed and there will be practical homework every night. Must have done Business Studies at Junior Cert preferably at higher level. A student must like bookkeeping at Junior Cert level and also working with figures- must like to get a “kick” from getting accounts to work out. It is a very practical subject- learning is by doing. Revision is done by answering questions. It is a Major advantage for studying Accounting/Business at 3rd level, even though again it is not a course requirement. Agricultural science is the study of the science and technology underlying the principles and practices of agriculture. It aims to develop knowledge, skills and attitudes concerning the factors that affect the long-term wellbeing of agricultural resources, and places emphasis on the managed use of these resources. Agri Aware and the Agricultural science teachers association compile a weekly agricultural science feature that appears in the Irish Farmers Journal. The page runs from September to June and covers all topics on the curriculum with additional features such as exam revision, useful tips, practical assessment advice and information on career opportunities from recent agri graduates. 3. Still Life or Imaginative Composition 4. History & Appreciation of Art. Art History, a 2-½ hour paper dealing with Irish Art, European Art, and general appreciation. Exam takes place in June. Please note; this section of the course accounts for almost 40% of the total mark allocation and may pose difficulties for some students at Higher Level. Previous art experience at Junior Cert is desirable but not essential. Advertising, Graphics, Photography, Teaching, Architecture, Bookbinding, Crafts, Fashion, Florist, Environmental Designer, Furniture, Curator for Galleries and Museums, Industrial Design, Interior Decoration, Marketing, Merchandiser, Occupational Therapist, Primary School Teacher, Picture Restoration, Printing and Publishing, Sculptor, Sign-writing, Video Production, Media Studies, Textile Design, Poet, Television, Theatre, Town Planning. Biology is the science of life and living things. More than any other science, Biology is part of everyday experience. When you visit a nature reserve, watch the behaviour of a pet animal, or collect a prescription from the chemist, there is a close encounter with Biology. Biology forms a knowledge base for hundreds of careers ranging from oceanography and ecology to medicine and biotechnology. The next hundred years looks set to be the ‘century of Biology’, as we gain greater knowledge of the science of life. Spectacular breakthroughs have recently been made in genetics, cell biology and the understanding of the human brain. Remarkable advances have occurred in environmental science and evolutionary studies. A huge choice of careers has grown out of the practical applications of these recent discoveries and there has never been a greater demand for people to become research biologists. The Leaving Certificate Biology course is an excellent foundation to view the many different life sciences as different chapters of the book of life. The need for a scientifically informed public has never been greater as we are faced with hugely important decisions in areas such as cloning, DNA fingerprinting, genetic modification of organisms, overpopulation, energy sources and pollution. Ø Most Biologists become familiar with statistics and computers used in data processing. This skill is directly transferable to many other jobs. Business is mainly about people and products. It’s about having ideas, spotting opportunities, having the courage to chase your dreams, and sticking with it when the going gets tough. It’s about understanding people as customers, investors, employees and partners. To be successful you will need good management, access to finance and a bit of luck. But ultimately it’s about always trying to do things in a better, more innovative way so as to meet customer needs and stay ahead of the competition. The Leaving Certificate Business course has been designed to prepare you for this rapidly changing business environment. It emphasises the practical skills needed by entrepreneurs, the essential elements of a business plan, the steps involved in developing new products and marketing them to a national or international market. It focuses on the key principles and activities of management. It outlines the global economic environment in which all business now operates and it examines some ethical and environmental challenges. Ø The different types of business units which exist and how to set one up e.g. sole traders, partnerships, companies. Ø Understand that for a business to operate efficiently it will require many services; finance, banking, insurance, market research, advertising and sales promotion. Ø Understand and be able to present information in a variety of forms e.g. 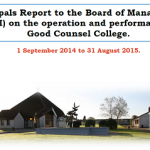 reports, agendas etc. Ø You will understand your rights as a consumer and how the law protects you. Ø You will understand various types of insurance cover. Ø You will understand the role of trade unions in a modern society and the way they, and the State, protect workers. Ø You will understand the environment within which a business operates in Ireland, in the European Union and in a worldwide context. Cash flows, income and expenses projections, budgets- fixed, irregular, discretionary. To do well at higher level students must learn definitions. Accounting, Banking, Bookkeeping, Clerical Work, Company Secretary, Administration, Hotel Management, Insurance, Purchasing Officer, Sales, Marketing, Merchandising, Customs and Excise, Taxation, Teaching, Law, Business Management. Chemistry gives you an excellent training for many jobs, both scientific and non-scientific. To be successful in the subject you need to be able to think logically, to be creative, numerate and analytical. These skills are much sought after in many walks of like and would enable you to pursue a career in computing or finance as well as careers in which you use chemistry directly. We live in a world of chemistry, and you don’t need the men in white coats to tell you that! Chemical substances are around you all the time, from the sugar you put in your coffee to the cosmetics you wear, from the dyed fabrics in your wardrobe to the medication you take for a head-cold. Chemistry is the study of what substances are made of, what effects they have on one another and what changes they undergo. Without this branch of study, we wouldn’t have unbreakable bottles or synthetic fabrics, CD players or the silicon chips that drive our TV sets, computers, and mobile phones. 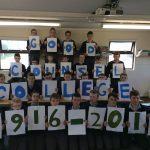 The Leaving Certificate course has recently been revamped and is designed to stimulate interest in, and enjoyment of, the subject. It encourages an appreciation of the social, economic, environmental and technological aspects of chemistry. It seeks to develop a facility for scientific method and rational thought, and the skills of observation, evaluation, and problem solving that will stand to you in other areas of life. About 70% of the syllabus consists of pure chemistry, with the rest concerning the social and applied aspects of the subject. Essential practical work is included, so there are plenty of experiments that have to be done. But chemistry is not just for those who want to work in a laboratory — the knowledge provided by the course gives a scientific base, which is useful for a multitude of courses and careers. Ø New ideas and materials are constantly being used in technology to improve society. You could work in a field where Research and Innovation are of primary importance to standards of living. Ø Chemistry offers many career opportunities whether working in a public service such as a water treatment plant or high-level research and development in industry. Preparation of gases; acids/bases/salts and Indicators etc. Junior Cert Maths – solving equations in 1 variable both linear and quadratic. New Topics: Radioactivity, Thermo chemistry and Bond energy. A big section of Organic Chemistry. Social Aspects and History of Chemistry. All Junior Cert areas are extended and there is a lot of practical work. Ordinary Maths at Leaving Cert is adequate to support this subject. English – You need the ability to say exactly what you mean, or to be able to learn definitions off by heart. Higher level English at Junior Cert should be a min requirement. No essay type answers required – there are right answers. It is not difficult to get full marks on a question. One class- unstreamed, ranging from higher A level to ordinary D level. Can be difficult for weak students to keep up. As stated earlier a continental language is a requirement for entry into the NUI colleges and their affiliates (except in the case of the Faculty of Engineering & Faculty of Science NUI Maynooth, Bachelor of Engineering, Science and Agricultural Science degrees UCD, Faculty of Engineering & Faculty of Science NUI Galway). However you do not need a continental language for Trinity College, DCU, UL and all the Institutes of Technology except where the language will form a central part of the course eg. European Studies, Marketing and French etc. You must have done the language to Junior Cert level before you can choose it for Leaving Cert. This is the study of two and three dimensional Geometry. Paper 1 deals with pure Geometry topics while Paper 2 applies these topics to the engineering environment. Paper 2 – the Engineering part is new to Leaving Cert but constructions from Paper 1 are used and applied to Engineering problems so it is not totally new. Conventions are learnt and applied to drawings – Conventions are simplified versions of International Standards in Technical Drawing. To take this subject to Leaving Certificate you should have a flair for it and be good at Maths. Honours Maths to Leaving Cert is not a requirement but it does help. Everyday our newspapers, Magazines, radio and television programmes keep us in touch with a wide range of economic issues – unemployment, inflation, taxation, interest-rates, privatization, currency exchange-rates. E.U. Structural Funds, CAP reform, Third World issues……. the list is endless. Ø When you study Economics you will gain a good understanding of current affairs both nationally and internationally, and you will be well prepared to form reasoned opinions on a wide range of economic matters. Ø Economics gives you a superb training for a wide range of jobs. The subject teaches you how to collectand analyse information, to think clearly, and logically. These are invaluable skills from an employer’s point of view. Ø Economics is a module contained in a wide range of courses, not just Business courses, at Third level institutions and to have studied it at second level is of tremendous benefit. (b) Micro Economics which is the study of individual markets i.e. buyers and sellers. It looks at how individuals and firms make choices regarding the use of the limited resources which we as an economy/society have. Economics complements a student’s study of other Leaving Cert subjects including Accounting, Business, Geography, History and English to name but a few. When students start studying Economics in 5th year they must understand that it is like learning a new language and it’s about putting the pieces of a jigsaw together bit by bit. At first they may feel confused but it “clicks” finally. This takes patience. While it is not a course requirement for entry to 3rd level business courses it is of major benefit to students to have taken Economics at LC. This is an observation from experience and feedback from former students. It’s a big world out there, and studying Geography helps to bring it closer to us. It also helps us make sense of many of the hottest issues of the day – from nuclear reprocessing to urban gridlock, third world debt to the depletion of the ozone layer, human trafficking to the globalisation debate. Geography is concerned with the inter-relationships between human activities and the physical environment. It includes the detailed study of European Countries, the physical landscape, economic activities, map work and Arial photographs. Geography is a subject that is a relevant and useful part of daily life. Geographical issues include weather forecasts, earthquakes, EU Policies, industrial developments, tourism, poverty, unemployment, emigration, famine, pollution, re-zoning controversies, EU Enlargement, urban renewal. When you study Geography you will acquire a wide range of skills that are extremely valuable from an employer’s point of view. Students learn how to analyse information, draw conclusions and present sensible solutions to problems with a valid plan for action. The current syllabus allows a “hands-on” approach, with the optional fieldwork question encouraging students to make good use of the rich local environment that surrounds us all. This is always a popular option when it comes to the final exam and the fieldwork trip is often a favourite memory of graduating students. Geography skills (map reading etc) will be tested within all questions where appropriate. Need to work well on projects both as part of a team and individually. Town Planning, Tourism, Travel Agency, Archaeology, Meteorology, Estate Agency, Environmental Protection, Surveying, Civil Engineering, Cartography, Landscape Architecture, Agriculture, Forestry, Marketing, Leisure Industry, Local Government, Education. History is a subject that embraces the world of politics, economics, religion and philosophy. It develops skills such as identifying main issues and the ability to select relevant information. A knowledge of history, or access to such knowledge, will enable a student to throw light on other subjects especially art, literature andlanguage. Should enjoy the subject and be prepared to study it and be reasonably good at English. Higher Level students will be expected to study all aspects of topics deeply and to develop a high level of theoretical understanding Ordinary Level will place more emphasis on the people / personalities in History. General questions on the Ordinary Level paper will be stimulus driven – photos, maps, charts etc. Politics, Journalism, Local Government, Social Work, Archeology, Barrister, Civil Service History Teacher, Law Clerk, Researcher, Trade Union Official, Garda, Tourism, Writer, Broadcaster, Librarian. Ever wonder how live images from Afghanistan are beamed into your living room? Why apples fall to the ground but satellites stay up in the sky? Why the Moon seems to change its shape and the Sun is about half way through its life? How we are able to view the internal workings of the human body in glorious technicolour? Physics can be a magnetic subject to study. It looks at the natural world in order to help us understand how things work. It has less to do with lab experiments and more to do with practical issues in your physical environment. Applications of physics are to be found in household appliances, medical advances, industrial production, communication systems, sports equipment and global travel. their application, to develop an understanding of the scientific method and the physical environment, and to develop the ability to observe, to think logically and to communicate effectively. All these factors will prove beneficial in your further studies and career, whether you go on to be a rocket scientist or not! The Physics course has recently been re-vamped and now includes a new section known as STS (Science, Technology & Society), which looks at physics in the everyday world, and helps to prepare you for life in an age of technology. There is also a practical section, with plenty of experiments to be done, so you will get a chance to wear that white coat and goggles. Don’t let inertia rule. Put some momentum into your life and enjoy the force that is got from studying physics. You might even learn how to programme that troublesome video-recorder! Students should have a good understanding of maths however higher level maths at Leaving Cert is not a necessity. If you are logically minded i.e. like to know how appliances work and like solving problems Physics is a good option. Architecture, Astronomy, Biophysicist, Computer Careers, Dentist, Doctor, Engineer – especially electrical and electronic, Health Inspector, Radio Operator, Medical Laboratory Technician, Meteorologist, Navy, Nurse, Optician, Pharmacist, Physicist, Physics teacher, Photographic Technician, Pilot, Radiographer, various TradeApprenticeships, Scientific Research.